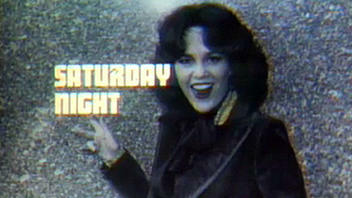 There is one thing nowadays that I don't think is well known: Madeline Kahn was one of the best actresses of her time. No, seriously. While you are likely to remember Diane Keaton or Meryl Streep, there were few performers who were as charismatic, mixing drama with comedy, and song with dance. The two-time Oscar nominee had a fantastic career that was cut short at the age of 57 in 1999 from ovarian cancer. On the occasion of what would've been her 73rd birthday, I am here to remind everyone of her many achievements in entertainment and explain to you why she was one of the greats. While she would go on to star in far more recognizable movies, it's important to note that Kahn's debut was in this Oscar-nominated short, directed by and co-starring the recently deceased George Coe. 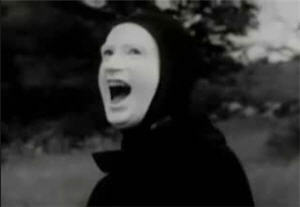 The film is a parody of films by Swedish director Ingmar Bergman, whose dry, existentialism served as the focus of comedy driven by an intentionally bad language and various nods that only cinephiles are likely to get - including an alternative take on The Seventh Seal, in which the devil plays tennis. 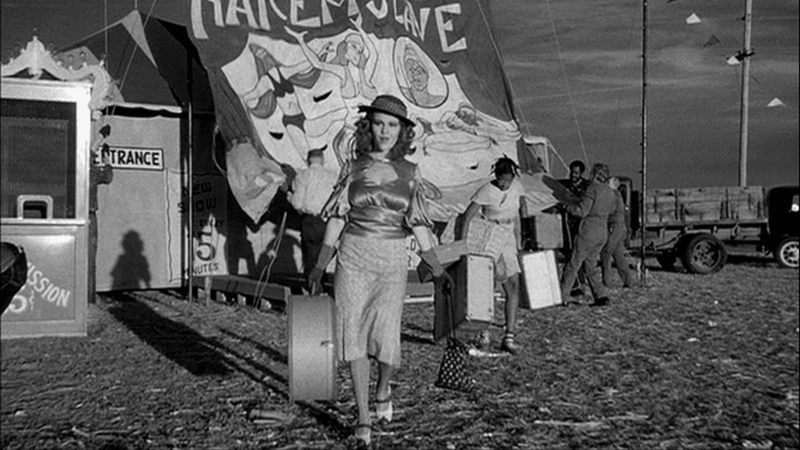 It may be a little dull, but serves as a spot-on and occasionally hilarious take on one of world cinema's most unique and melancholic voices. If you haven't seen it, check it out here. In the short span of time, Kahn was a force to be reckoned with. She received her first Oscar nomination for Best Supporting Actress for her second film. Directed by Peter Bogdanovich (who also worked with her previously on What's Up, Doc? ), she co-stars as a buxom love interest to Ryan O'Neal named Trixie Delight. In the film, she is required to be confident, occasionally dim, and the negative female figure in Tatum O'Neal's life. It is a role bursting with life and personality in a way that proved she was an actress capable of great things to come. She was funny, off-putting, and charismatic all within the breadth of minutes, serving as one of the many great pieces that make this Bogdanovich's masterpiece. Over the span of a few years, it seemed like Kahn would be type-casted as the sexually promiscuous woman in almost all of her films. Of course, that's only the base-line for what makes her first collaboration with director Mel Brooks so compelling. Earning her second Oscar nomination for Best Supporting Actress, she immediately steals the show with a overlong tribute to prostitution through musical theater. In the number "I'm Tired," she proudly exploits her love life in comical fashion, mixing the melancholic vaudeville style with lyrics that capture Brooks at the height of his satirical control. The story goes that the banter she makes during this sequence was improvised, thus proving as well just how quick-witted she was and capable of mining laughs from unexpected places. It may not have been her only scene in the movie, but it was one that solidified her as a powerful force in one of the most acclaimed comedies in cinematic history. It does seem almost too easy to just list all of the movies that Kahn and Brooks did together (the others being: High Anxiety and History of the World: Part 1), but this was their other major collaboration. Where Blazing Saddles took on westerns, Young Frankenstein took on the horror classic Frankenstein and its subsequent franchise. Considered to be one of the defining horror comedies, the film is Brooks' finest achievement and features some of his tightest gags thanks to a cast lead by Gene Wilder. With a supporting role by Kahn as a love interest that earned her a Golden Globe nomination, the story comes to life in riotous fashion, making us reconsider the iconography for The Bride of Frankenstein in the process. It's flawless comedy and further proof that Kahn could control the screen whenever she was on. While not the most prominent guest in the show's history, Kahn appeared three times over her lifetime and provided a mixture of comedy and musical numbers that captured what made her so compelling. While she has appeared on several other variety shows, she made an impact on her brief Saturday Night Live appearances. Much like the best of them, she was able to play ball and produced some of the show's best moments, including a moment in which she stars as Marlene Dietrich being interviewed by Gilda Radner's equally incomprehensible character Baba Wawa. She also won an Daytime Emmy for ABC After School Special for the episode "Wanted: A Perfect Guy." 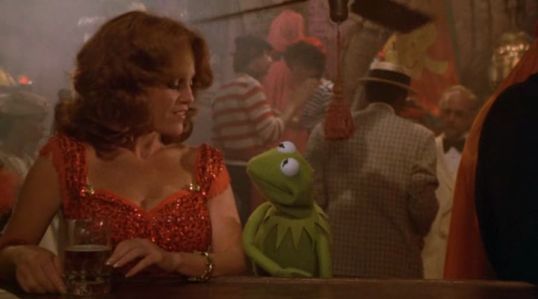 While she only has a small cameo in the film, she is back to her old tricks as a bar patron who mistakes Kermit's conversation as a pick-up. Much like her flirty characters of the past, this is pretty much a joke based on miscommunication. However, in a movie full of memorable cameos, it is nice to see her appear for less than a minute while making a very strong impression in the process. It wasn't only foray into puppetry. She also appeared on The Muppet Show in one episode. While she is likely to be remembered mostly for her work on film, she also has had a lengthy career onstage, being nominated for four Tonys and winning for Best Actress for The Sisters Rosensweig. She starred in productions until the late 90's. For those who don't think that she's a great singer, consult the clip above in which she sings the Irving Berlin song "You'd Be Surprised!" as part of an honorary ceremony thrown for the composer's 100th birthday. Her fluctuation in voice alone transcends the comical undertones of the songs at hand. 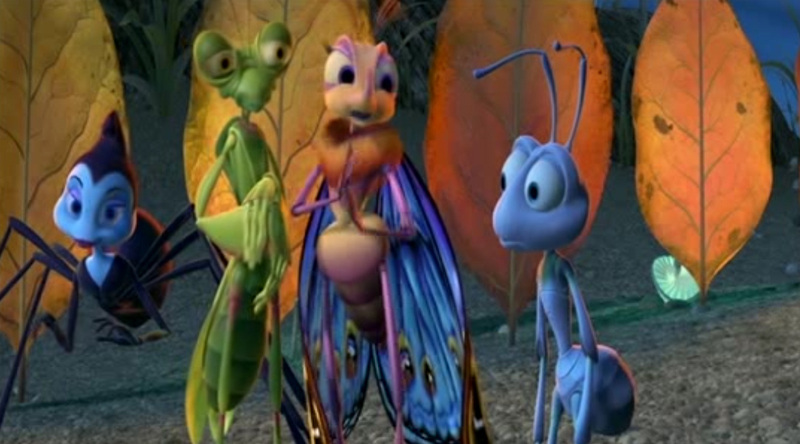 It is unfortunate that I haven't seen a few of Kahn's more revered later works (Clue, An American Tail, Nixon), but A Bug's Life holds a special place in my heart. For starters, it was the first place that I was unintentionally exposed to Kahn as the magnificent butterfly character. It was also Pixar's second film and one that I feel is greatly underrated, especially in comparison to later films. However, the ensemble of bugs-as-actors plot remained one of my childhood favorites thanks to its mixture of comedy and adventurous plot. Regardless on if it's a riff on Three Amigos (and by example, Seven Samurai), it still remains one of my favorites and an example of her ability to transcend generations.